Whilst everyone has been raving about La La Land (which I am yet to see by the way), I went to see Trainspotting 2 at the weekend, and I loved it! 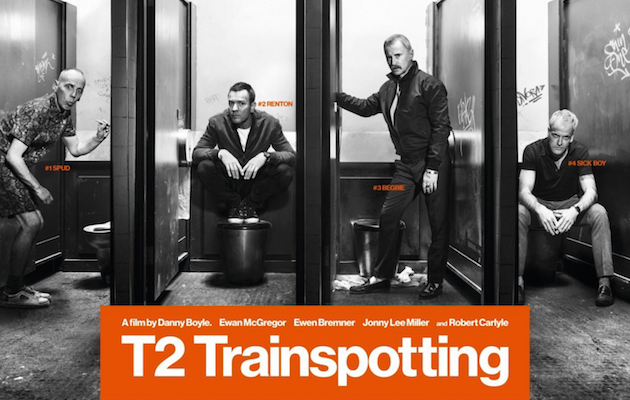 The main character, Mark Renton, played by Ewan McGregor, is, like most of his friends, a heroin addict, without many prospects in life, nor much ambition. In the second film Mark returns to Edinburgh from Amsterdam where he has been living, and has to face the consequences of the choices he made twenty years previously. Without giving too much away, the second film leads on from the cliffhanger in the first, which follows the friends around the city of Edinburgh, showing the true side of being an addict. I won’t say anymore for fear of spoilers, but it is a must-watch if you are into dark comedy. With fashion month set to kick off this month, I’ve been focusing on the Haute Couture 2017 collections and just had to make them my Friday favourite. 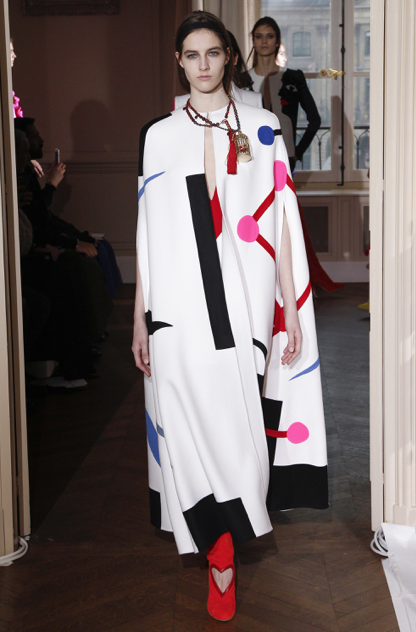 Maison Margiela’s Artisanal collection was, for me, truly spectacular (and many editors would agree) – I found the John Galliano collection fit well within the brand, through focusing on craftsmanship and encapsulating different artistic values. The art-inspired garments reflected collaborations from differently skilled artists and a favourite was definitely the piece from Benjamin Shine, who hand-crafted a face with tulle fabric on a white coat. Another favourite of mine was Schiaparelli’s Lobster dress. First created in 1937, it made a shocking comeback after 80 years, alongside fun dresses in vibrant colours and I cut-out heart shaped footwear, perfect for Valentine’s Day. Cupid eat your heart out! My Friday favourite this week is porridge. I know, not the most exciting…but stick with me. During the winter months a warming breakfast is absolutely essential, but having plain porridge day in day out can get all too samey. I’ve been playing around with my porridge recipes for a while now, and recently discovered @groedcph on Instagram, which is a great source of ideas. 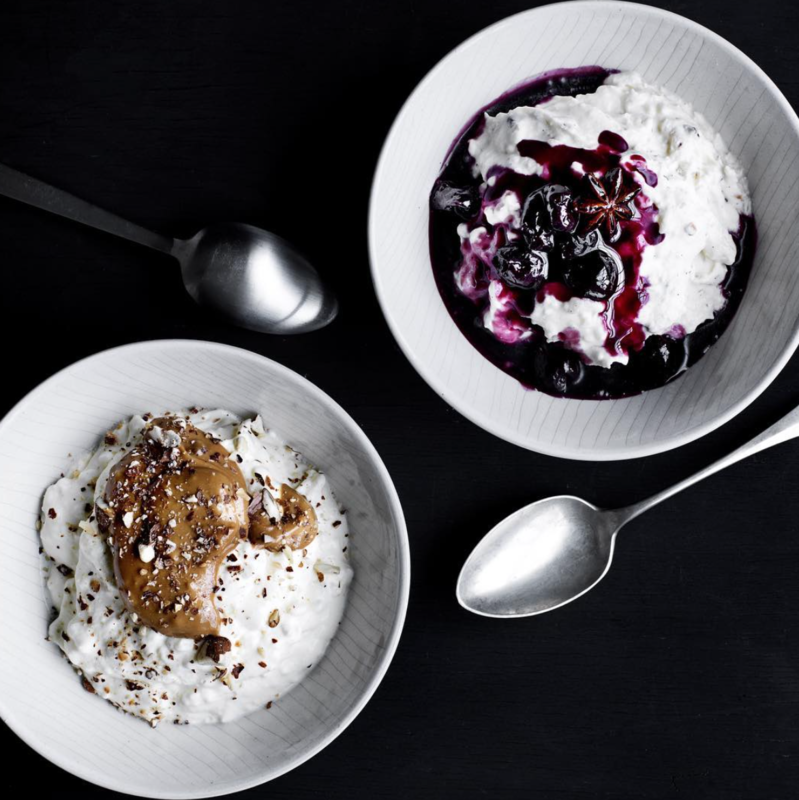 The Danish eatery specialises in creative, healthy and super tasty breakfasts, and its Instagram page is dedicated to gorgeous imagery of bowls which will make your mouth water. You can also buy products and their cookbook from their online store. Toppings they recommend include caramel, fresh apple and toasted almonds – sounds more like pudding than breakfast! I’ve been taking inspiration, and my current favourite mix is oats, chia seeds, mashed banana and almond milk, topped with walnuts, desiccated coconut and a spoonful of nut butter. Seeing as though it’s a full week later and I’m still thinking about it, I’m dedicating today’s Friday Favourite to last Friday’s breakfast at the The Alchemist. Every Friday at Avant we brainstorm creative ideas for our clients over a delicious breakfast of avocado toast and orange juice. 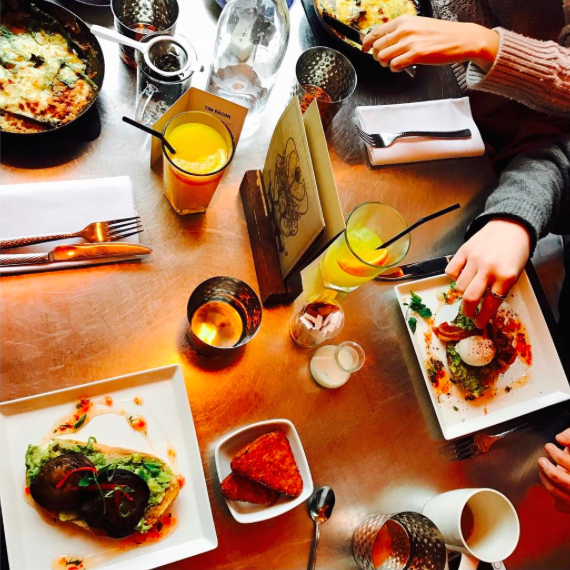 Last week though, we took a team outing to The Alchemist in Spinningfields for a breakfast treat. Being the foodies that we are, Amanda and I had already looked at the menu beforehand and decided on the ‘Mish Mosh’, a dish of ‘broken eggs with chorizo sausage, cheese, bacon, spinach & mushroom, served with toast’. It turns out ‘broken eggs’ means a big delicious mess of omelette with cheese and filling. The food was great and was accompanied by Instagram-worthy steaming tea in delicate china cups, complete with dry ice in true Alchemist style. We were lucky to catch the Living Ventures January 50% off food discount, but loved my breakfast so much I’d happily go back this Friday! 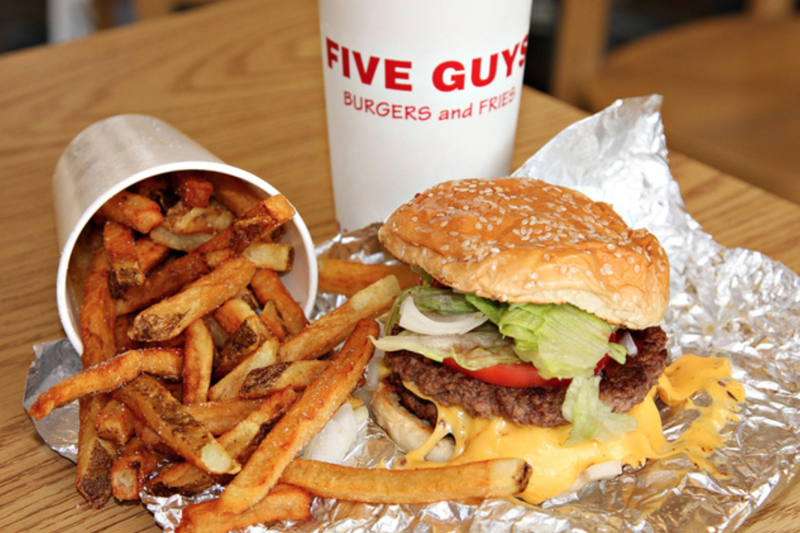 Around a week ago, I finally made it the infamous burger joint Five Guys for the first time, and haven’t been able to stop thinking about it since, so it’s only right it was this week’s Friday favourite. I went for a burger with cheese, bacon, lettuce, tomato, ketchup and mayo, with the spicy fries and honestly don’t think I’ve ever tasted a nicer burger – you could tell everything was freshly cooked, the meat was really juicy and the bread just perfect. I shared my chips and I’m glad I did – around half way through my meal I was so full (but finished it, obviousy). Although it’s not cheap (we paid around £30 for two burgers, a portion of chips and two drinks – quite a lot for a fast food joint), it was so worth it and I’m dreading and looking forward to the new one opening in the Arndale Centre in equal measure – I’m not sure I can be trusted when it’s pretty much on my doorstep!